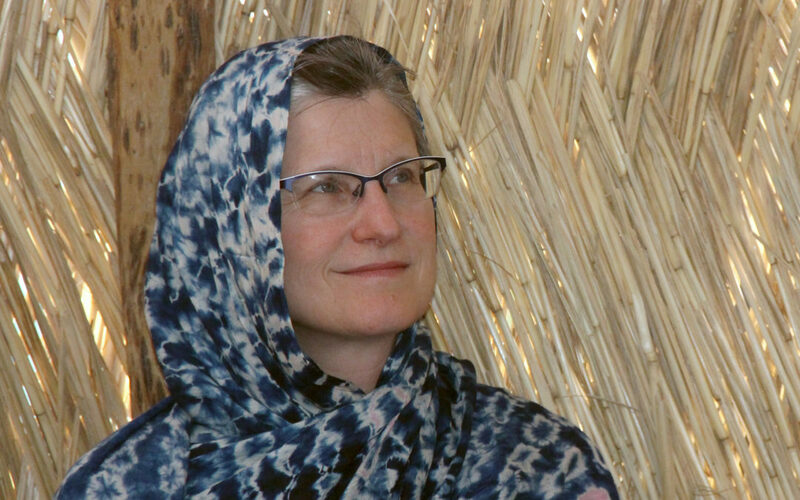 In March the Church of the Lutheran Brethren Council of Directors approved a plan to call Kay Asche as our next missionary to the women and children of an unreached people group in Chad. I first sensed God’s call to go to the unreached people in Chad while working at Hope Lutheran Brethren Church in Barnesville, Minnesota. My six children were leaving home and marrying at an alarming rate, and I realized my role as a homeschooling mom for the past twenty years was fading away. I spent time fasting and praying, seeking God’s direction regarding my role going forward. When I was working in the office at Hope, our congregation agreed to partner with Bethel Lutheran Church in Fergus Falls, Minnesota to adopt an unreached people group in Africa. My heart was stirred, and I felt God calling me to go. I had no idea how I would do this or what was involved in becoming a missionary. All I knew was that God directed me in his Word to “study to show yourself approved” (2 Timothy 2:15, KJV 2000). While stocking the brochure rack at Hope, I read in a Lutheran Brethren Seminary (LBS) brochure that they offered a Certificate of Theological Studies (CTS), suitable for people who desired a second career in missions. Again there was the verse, “Study to show yourself approved.” I also learned that if I completed the CTS, I could apply to Lutheran Brethren International Mission (LBIM) to be a missionary. Four years later, while employed full time as an Office Administrator at a small school in North Dakota, I could no longer ignore the call to “study to show yourself approved.” God opened the door for me to start the undergraduate requirements online through Minnesota State Community and Technical College. The next year I felt God leading me to commit to one year as a full-time student to complete my credits and start classes at LBS in Fergus Falls, MN. Attending LBS was an amazing experience of saturation in God’s Word and the richness of establishing life-long friendships with our future pastors, missionaries, and their wives and children. During one of the classes Dan Venberg, Mission Mobilizer for LBIM, spoke of the growing need for workers in the mission field of Chad. Again, the call was strong and I wondered how God would fulfill the call in me. During my second semester at LBS, I accepted the call to work with the team at the Church of the Lutheran Brethren synodical offices. There I had the privilege of seeing how our dedicated, solid, denominational staff faithfully performs their daily tasks behind the scenes to support our churches, pastors, and missionaries. I also was impressed with how God has used LBIM to establish a solid base of his Word in a very dark part of the world—known as the 10/40 window. The 10/40 window is a rectangular area of our globe which has been identified to hold the majority of the world’s unreached people. This is the least evangelized part of the earth, and LBIM’s three mission fields, Chad, Japan, and Taiwan, are all located within it. I found myself thinking that perhaps this was it; working in the CLB offices was my part in the mission. 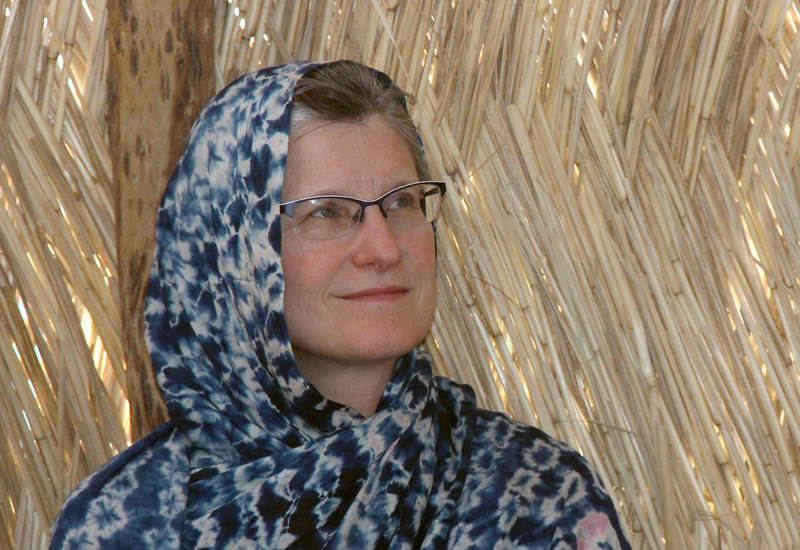 However, I could not shake the call I felt to go and live among the people of Chad, and while working at the CLB offices, I was surprised to learn that the LBIM team saw a need for a “mature” woman to minister among the women in Chad. Our missionaries in Chad were starting to have an impact for the gospel on the men in the villages, but there was a lack of ministry to women. I had discussed God’s call on my life with LBIM. In January 2016, I had the opportunity to go with a short-term team to Chad. I found myself sitting on a mat in a small village hearing the leaders of villages in the 10/40 window inviting LBIM to come live among them and teach them from our “Book.” When I returned from Africa, I talked with leadership about what would be involved in serving in Africa with LBIM and began assembling the items that I would need to live there. I graduated from LBS in May 2016, and in December I resigned from my job at the CLB offices. After praying, I decided to sell my house and possessions and continue to seek training toward working in end-of-life care, possibly in Arizona near relatives, until the door to Africa was open. My house sold within hours and my possessions were sold or given away to family and friends. Everything that remained would fit in my car except for the three large tubs that I had assembled for ministry in Africa. At this point, I asked God to show me if I should liquidate the contents of the tubs, or else how to transport the tubs to Arizona. The next day LBIM called and asked if I could meet with them. Unexpectedly, the door to Africa appeared to be opening, and I agreed to pursue the next steps towards applying for acceptance as a missionary in Chad. God has been faithful to prepare and guide me, but what do I really have to offer the women and children of Chad? I have what I know to be true: God’s Word of assurance that we are friends of God through Jesus Christ. What’s a 57-year-old woman to do? The idea of leaving my circle of loving, supportive co-workers, friends and relatives to live in primitive surroundings brings to the surface many questions and fears. But as a wise friend said to me, “God will provide.” The opportunity seems to have opened up overnight, but in reality, it has been ten years since I began to fast and pray for God’s direction for my life. He has made it possible for me to “study to show yourself approved.” He will continue to be faithful and true to his Word. Kay Asche is a 2016 graduate of Lutheran Brethren Seminary in Fergus Falls, Minnesota, and has been called by the Church of the Lutheran Brethren to serve as a missionary to the people of Chad, Africa.